Will you need a passport for domestic travel within the United States? If your drivers license or state ID is not compliant with the Real ID Act, you may need to get a passport for your next flight- even if it’s just to another state. The Real ID Act impacts every American that plans to travel within the U.S. by airplane. While many states are now compliant with the Federal rules, a few states have only been granted an extension to become compliant. You also may have an older state-issued ID that is not compliant with the Real ID Act which means you may not be allowed to board your next flight. If you do not have a Real ID Act compliant state ID, you will need to get a passport in order to fly domestically within the U.S.
Find out how the Real ID Act impacts your drivers license or state ID. The Real ID Act was passed by Congress in 2005 in response to security concerns that state-issued ID cards (like a drivers license) were not up to the latest federal standards for access to federal buildings, nuclear power plants, and airline travel. The original deadline for states to meet compliance was in 2008, though over the past 10 years many states have been granted extensions. As of 2018, most of those extensions have expired or are soon set to expire. If your state does not have a Real ID Act compliant ID yet, you should consider applying for a passport book or card. 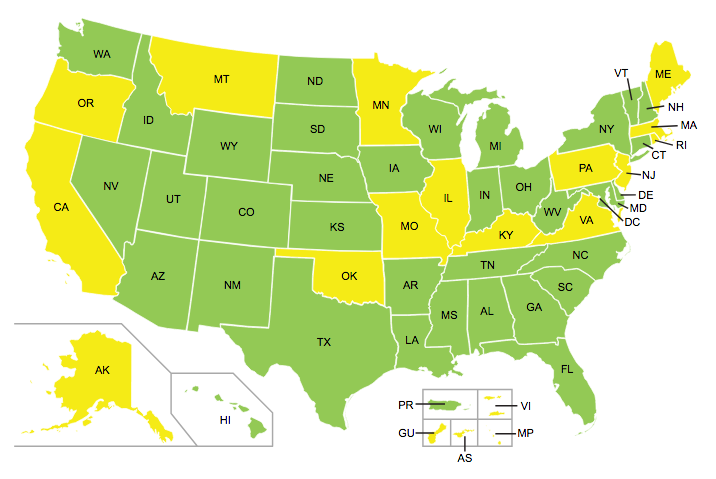 Check the map below for the states that are currently non-compliant with the Real ID Act. Do I need a passport to travel within the USA? You do not need a passport to travel within the USA. However, you do need a federally approved ID in order to board a commercial airline flight. 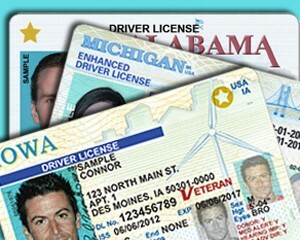 Acceptable forms of ID include a state-issued ID like a drivers license. However, it must be a Real ID Act compliant ID. If your state is currently compliant but your ID is old, you will need to update your ID in order to travel on a plane. An alternative option is to get your passport. Your US Passport is a valid form of ID accepted everywhere in the US and throughout the world. Present data in a common, machine-readable format such as a barcode, smart card technology, etc. How do I get my passport for the Real ID Act? There are two ways to get your passport for the Real ID Act. The first method is to use routine processing at the post office or county clerk. It usually takes approximately two months to get your passport using this method. If you have time and you’re not traveling soon, you can visit your post office for routine passport processing. The second method is to use expedited passport processing. There are additional fees with expediting your passport application but if you are traveling soon, it may be worth it. The government fee will increase by $60 if you are expediting. Read more about the costs to get a passport here. The post office should offer 3-week service as their fastest method. If you need your passport faster, consider using an expediting service that specializes in secure and fast passport processing. A trusted passport expeditor can get your passport processed within 24 hours. If you live near a major city and you are able to get an appointment at a Regional Passport Agency, they may also offer expedited services.